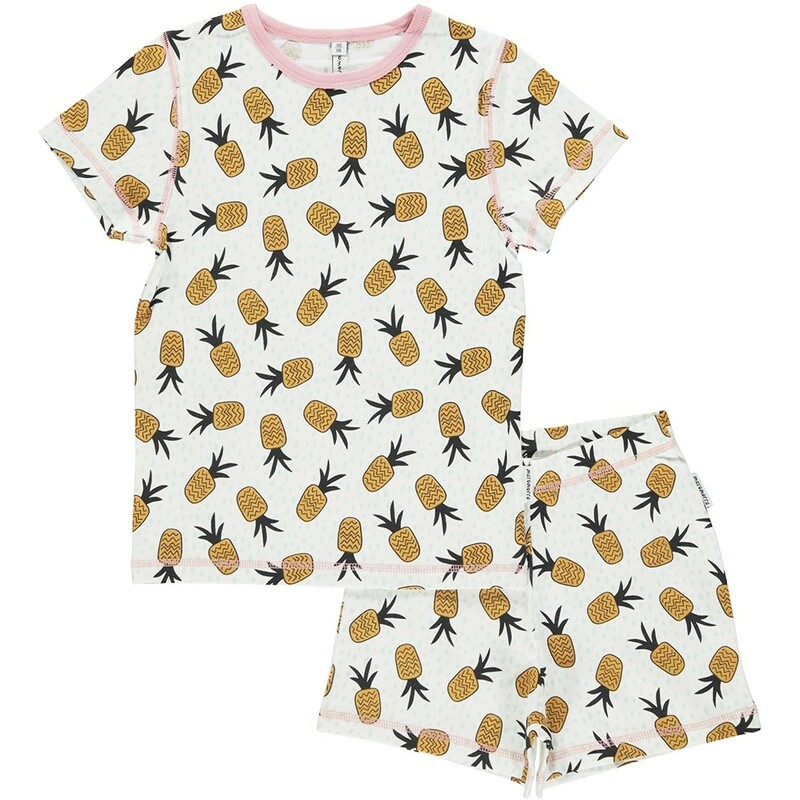 This set of organic shortie pyjamas for babies and children are white with a pineapple and aqua dots pattern and a pink trim. These Maxomorra pyjamas are perfect for summer nights and cute enough for day-time wear too. Made with soft organic cotton, these baby and children's PJs are gentle on delicate skin and eco-friendly. This set was made using jersey fabric, made with 95% GOTS certified organic cotton and 5% elastane. Team up with other organic children and baby clothes from the latest Maxomora range. These short pyjamas are made using jersey fabric, made with 95% GOTS certified organic cotton and 5% elastane.